Eastern Mennonite University set a new high for student-athletes named to the annual Old Dominion Athletic Conference All-Academic Team, as 80 Royals were honored. Last year EMU landed 61 on the list. The ODAC All-Academic Team eclipsed 1,000 student-athletes for the seventh consecutive year and set a new high-water mark for conference honorees for the fourth year in a row. 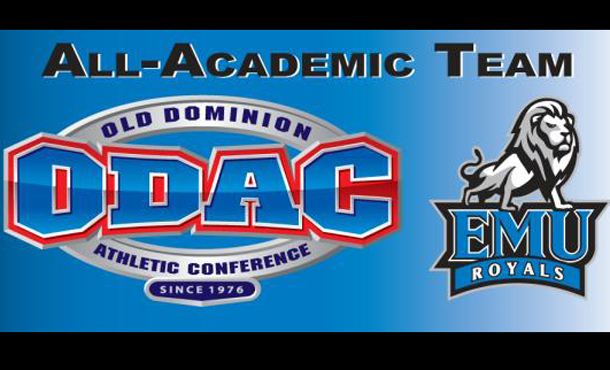 With representatives from each of the 17 ODAC institutions (including Catholic University for football only and Greensboro College and Notre Dame of Maryland University for swimming only), 1,459 student-athletes earned recognition on the 2012-13 ODAC All-Academic Team. The entire list of Royals named to the ODAC All-Academic Team is listed below.